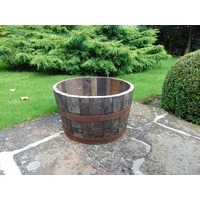 Halved ex-distillery barrels and re-coopered barrels from original oak barrel staves. 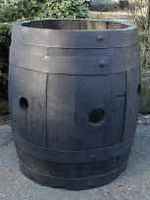 Available in half-barrel, whole barrel and strawberry barrel shapes. 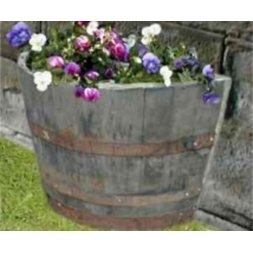 Small oak buckets with thick hessian rope handles make a more unusual planter. 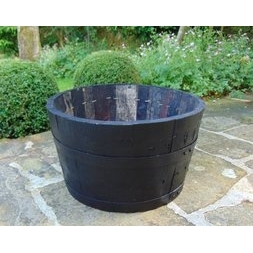 Most are available in two finishes, a natural or rustic finish and a dark stained ebony finish. 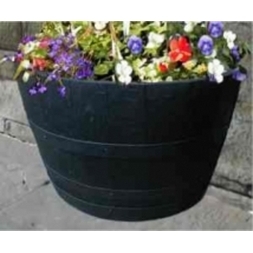 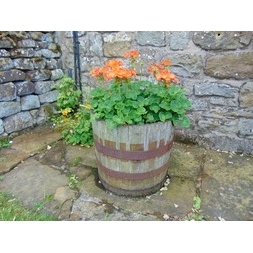 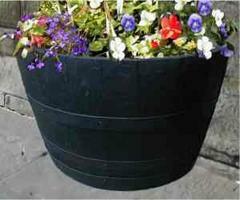 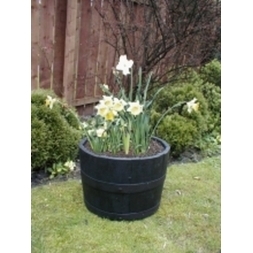 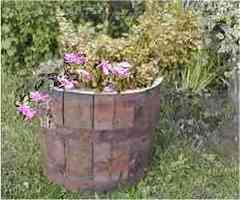 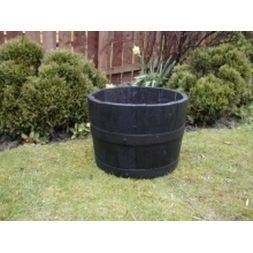 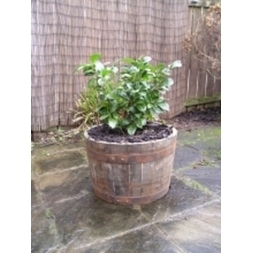 The durability of oak means these planters can last for many years without the need for liners etc.